In all of my years playing kickball, I have never been so proud of my team. The balling has never been so hard and the flipping has never been so on point. After many years of years mastering their flip skills and honing their kick skills, Ball so hard came to play. After a couple first inning runs, BSH tightened their grip, grabbed the constitution and swore upon it that we came to play With America in their hearts and spirit. BSH played to their advantage and scored a small ball run in the first. 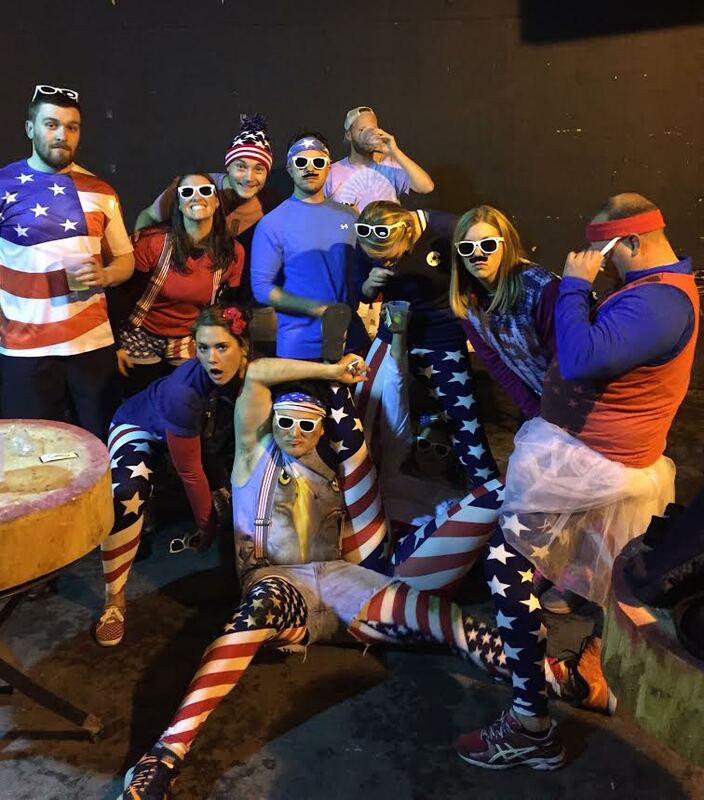 After the first, Unstoppaballs realized that Team America came to play. The defense of both went back and forth as Brett, Lauren, Kris and Jon decided that any fly ball would be caught. Kory caught everything at first and Dirty Randie decided that she would pitch a gem of a game. BSH would kick well and defend well in a tightly contested matchup against Unstoppaballs. With some tempers running high and plays under review, Unstoppaballs would come out on top on this day. At Pourhouse, or shall I shall U.S.A house, BSH was all business. With nothing but victory on the mind after a tough loss, BSH was looking and drinking for vengeance. After a quick team practice of flip cup, BSH knew they were in the drivers seat. Unstoppaballs said they were ready (they weren’t) to play flip cup. After an absolute intense game of King of the Hill, BSH was all business. Amy (King of the Hill) Dawson showed that she was BSH’s best player on this day and cleared her throat, strutted her stuff and grabbed her cup like a boss. With BSH showing up with the most players, waves were created in an epic flip cup battle. The first wave included Krista, Jon, Amy, Kris and Tom. They proved to be dominant and flexed their muscles as the 2nd wave moved in. Kory, Lauren, Tina, Cory and Brett showed that they weren’t messing around either. With a HUGE flip cup victory BSH chanted U.S.A until their voices were hoarse. After many pictures and videos being taken, BSH were crowned champions of freestyle week. While many autographs were signed and pictures were taken as BSH embraced the victory of flip cup and spirit week.